Our organization was formed as the Stafford Township First Aid Squad in 1951. Our mission is to serve the emergency medical needs of Stafford Township and the surrounding areas. Squad 38 responds to the 47 square mile area 24 hours a day, 7 days a week. Our members are all volunteers who devote countless hours of their time to the community. They are constantly training to acquire the best skills necessary to provide superior service and high level of care the township has come to expect! Any questions, comments or concerns?? Please re-direct yourself to our "Contact Us" page and feel free to drop us a message!! Please note that Stafford EMS does not rent out our kitchen/hall. Any inquires regarding hall rental and usage, please contact the Stafford Township Fire Company at 609-597-2138. Stafford EMS can only achieve its goals with the assistance of generous donations from members of the community. Without the continued support of people like you, we wouldn't be where we are today! If you would like to make a donation, please click the "Donate Now" button below. Copyright © 2019. Stafford Township EMS. All rights reserved. 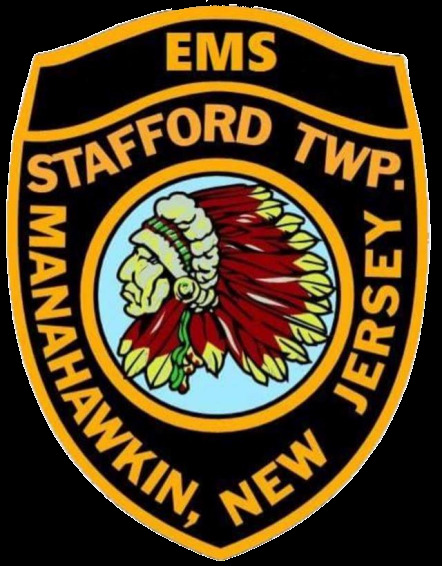 Content on this web site is supplied and maintained by Stafford Township Emergency Medical Services and its designated social mediaadvocates.